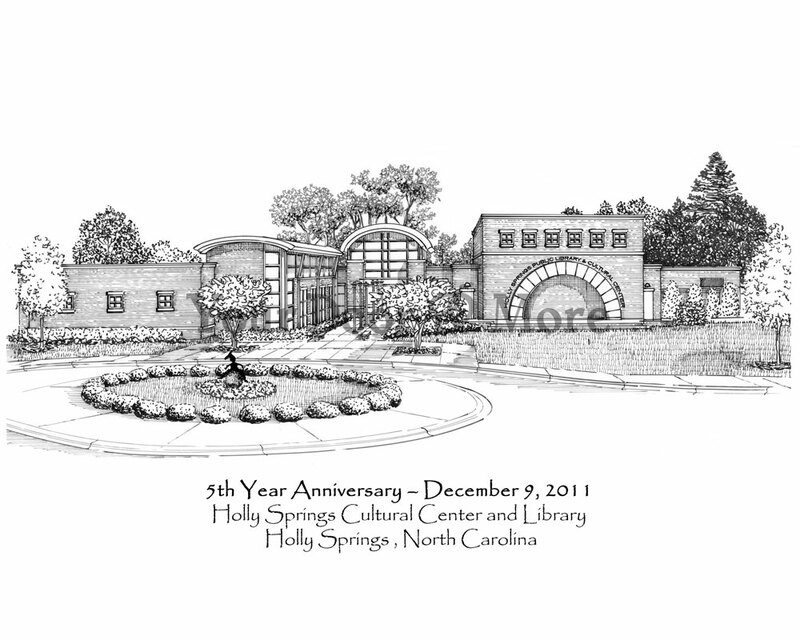 I was recently commissioned to create a 5th year celebration illustration of the Holly Springs Cultural Center. 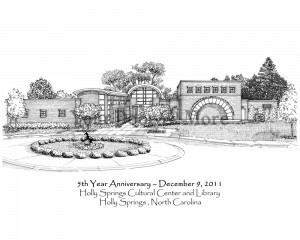 The importance of the piece is it has created a stronger draw for the little town of Holly Springs. With such acts as Tom Wopat, Melissa Manchester and countless many others, it draws patrons from many different states. Those people spend money in the town too! It gives the residents a destination and a location for many many other events too. The Cultural Center office will be selling limited edition prints, only 50 for $10 during business hours. Stop in and get yours before they are gone!